Conference calling has become the new normal in workplace communication in a globalized environment. This has formed a crucial role in making workplace more productive and agile. The global conference call services market is making rapid strides riding on the back of constant technological advancements made with respect to features and functionalities. A growing number of services offer hassle-free conference calling and promise to take the pain points. The advent of novel technologies has opened a new paradigm in the conference call services market. These technologies make conference calls more smart, automated, and more user-friendly. The advent of artificial intelligence in conference calling services is a recent case in point. Several providers of conference call services have integrated artificial intelligence (AI) into their offering. The application of AI helps in keeping an automated tab on key points through transcriptions of calls in real-time. A number of vendors are focusing on these aspects to gain a competitive edge over their rivals. The rising use cases of AI in B2B services and software used in conference calling is also bolstering prospects of the market. Moreover, vendors are exploring innovative ways to utilize AI to make conference calls more interactive, engaging, and productive. Furthermore, new ways of incorporating AI into the mainstream of conference call services will open a vast window of possibilities to market players in the not-so-distant future. The integration of scheduling calendar service with conference call services is a key trend underpinning the expanding potential in the market. The demand within the global market for conference call services has been rising alongside advancements in the corporate sector and the creation of a borderless business environment across the world. Conference calls are managed via a wide range of networks, software applications, and communication modes, and have emerged as an important element in the global business ecosystem. The advent of globalisation has necessitated the interconnection of businesses based out in multiple regions, and this factor has impelled demand within the global market for conference call services. However, conference calls are not just for business enterprises and a range of other industries also conduct conference calls for a variety of discussion and discourses. The presence of key business entities, employees, or managers at multiple locations has created commendable demand for conference call services across the world. Owing to the aforementioned factors, the global conference call services market is projected to expand at a skyrocketing rate in the years to come. 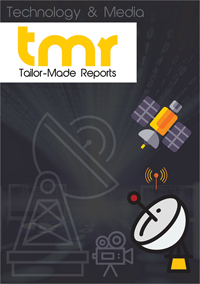 The global conference call service market is segmented on the basis of the following parameters: call service type, end user, and region. The relationship between the conference call service market and several other industries can only be understood by delving into the specifics of the aforementioned segments. A report on the global market for conference call services projects that this market would as new-age technologies become the watchword of global businesses. The report is a rundown on an array of factors that have aided market growth in recent times. The regional dynamics o the global conference call services market have also been elucidated in this report. The demand within the global market for conference call services has been rising as businesses outsource their operations to remote locations. The need to communicate messages to multiple business units in a single go has compelled business leaders to use conference call services. Hence, the global market for conference call services is expected to attract mammoth revenues in the years to follow while the vendors reek of prosperity. Apart from the business sector, the demand for conference call services has also flown in from other sectors such as healthcare and defense. Furthermore, the relevance of conference calls in the media and entertainment industry has also propelled demand within this market, thus, giving am impetus to the development of the market vendors. Conference calls have also become popular across the arious longitudes of governance, and this factor is expected to play a major role in the growth of the global market for conference call services. Although the market for conference call service has witnessed the inflow of voluminous revenues from multiple regional pockets, the demand in the North American market has outdone all other regions. This owes to the sophistication of businesses in the US and Canada, and the presence of headquarters of several corporate entities in the region. Some of the key players in the global market for conference services are Zoom Video Communications, Polycom, Dialpad, GlobalMeet, Infinite Conferencing Inc., and Arkadin SAS.